This apartment is super close to the city (a $9 Uber to the Valley in fact! ), which means we have great city views from the balcony or even the rooftop BBQ you can access. I've got a Telstra tv with all the essential, Netflix, Stan and some Foxtel channels and even aircon for the hot summer days! 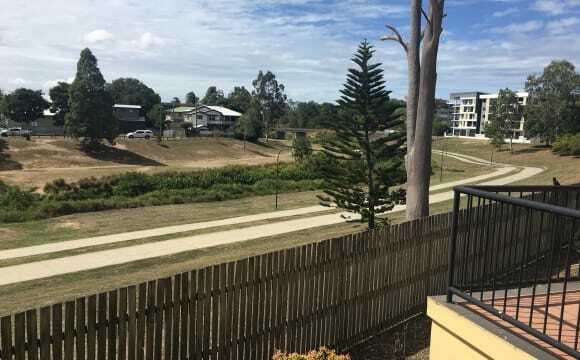 *Ideal for cyclist or runner* The unit backs onto the Kedron Brook Bikeway and it’s very peaceful with lots of birds. No traffic noise. The unit does have air conditioning but I have not yet used it as it’s very breezy with two sliding doors in the living room. Large balcony and living space. The unit is fully furnished, your room is unfurnished and you have your own toilet. The shower/bath is shared in main bathroom. 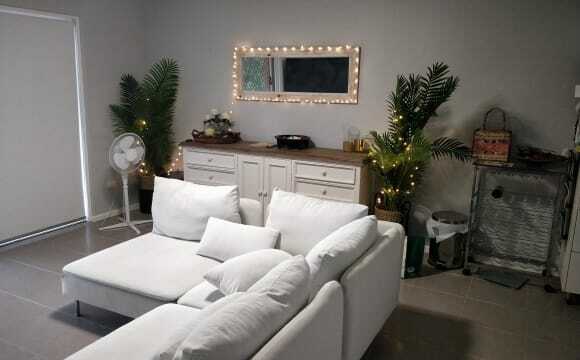 (Female Long Term) Brand new and cosy 2 bedroom and 2 bathroom apartment. It is very fresh, clean and quiet. Gorgeous Backyard with an amazing garden. Only 10 mins drive to Airport or City. 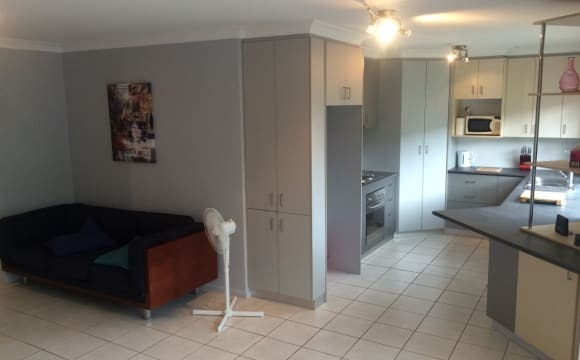 Walking distance to train station, cafes, restaurants and local shops (Aldi and Coles). Visitor Carpark and plenty spot on the street. A truly beautiful suburb. The perfect location! Starting date from on 09/05 Water and Internet included. Electricity is shared every three months. Home Description Description of the home Albion. House is extremely spacious and extremely good value. 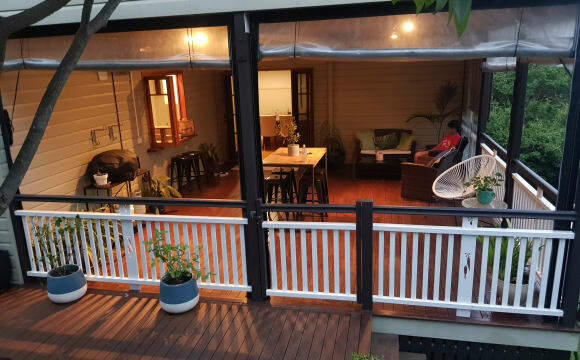 Queer, alternative and kink-friendly house in inner Brisbane. Albion. $150 per week, includes bills. Yes, we know this is amazingly good rent. We were just really, really lucky to get this place when it was available. We're good tenants and keep it clean, so the landlord is very easy to get along with. What's the catch? There kind of isn't one. 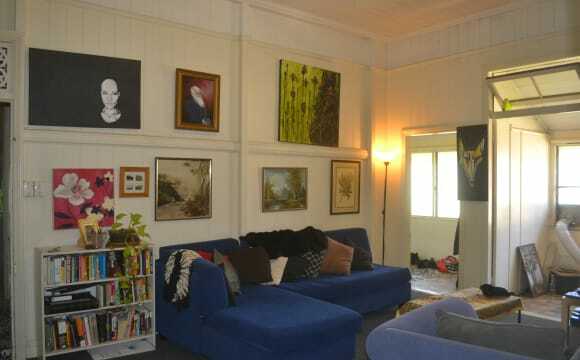 All up, the house is a sort of gigantic old Queenslander. Three current housemates and we're looking for only 1 more person (or perhaps a couple). You'd be getting two good-sized rooms to yourself. Your rooms would be towards the back of the house. House has: 2 bathrooms 2 toilets 2 living rooms Butler's pantry Grassy front and back yards Courtyard Lots of under-house storage Even has 2 fireplaces! The train station is a 3-minute walk away, we're also close to cafes, supermarket and all that stuff. Prefer female housemate to keep the gender balance, but getting the right fit is more important. Ages 23-45. You must be employed or studying. Our house is not suitable if you are looking after children. Also, we have a resident cat named Ralf - he is sweet, friendly and very chilled. Home features Ceiling fansBroadband InternetClothes washerClothes dryerStudy or officeStorage roomCourtyard, garden or yardBBQ facilities Bills and expenses Included bills: Gas, power, internet and Netflix Combined rent and bills are paid into a "house account" and automatically deduct from it. Everything is shared equally. Food: That's up to you, though we also have a cupboard of communal food - stuff like rice, flour, cooking oil, etc. This property is amazing because it is fully furnished, you have your own bath and toilet, it is a 3 minute walk to the train station and bus stop. It takes only 10mins to either the city or the airport. Very convenient location. The rent includes water and netflix 😁. But electricity and internet are extra. Electricity is every 3 months and internet is monthly. Close to Albion station which is direct into city in 13 mins. Lovely area - quiet and the apartment is very secure and safe. 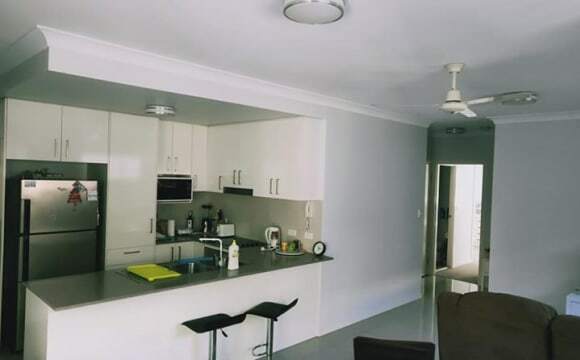 We have one room available in our fully furnished, high-set Queenslander in Windsor and its got plenty of character, definitely a place to call home. The huge room has a ceiling fan and is fully furnished with a king-size bed, shelving and bedside tables. The house is in a quiet street with plenty of on-street parking. There's a big leafy backyard perfect for summer get togethers and bbq's. The bathroom is shared, and has a bathtub. 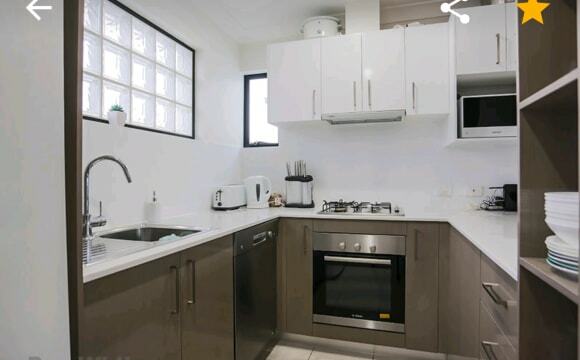 The kitchen is a good size with gas stove and oven. Bills (internet, gas and electricity) are divided evenly and paid monthly. We're located just up the hill from the Windsor train station and buses. 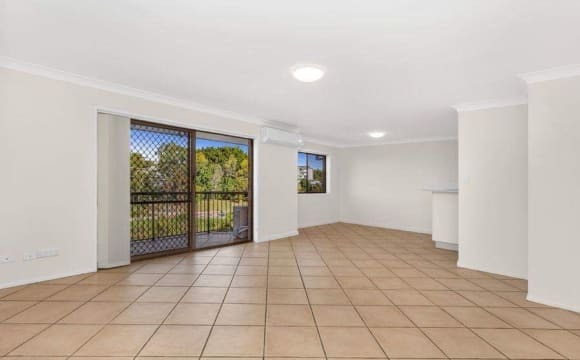 Nearby: RBWH, Northey Street, Lutwyche Shopping Centre, coffee shops, restaurants. ICB, Clem 7 and only 15 minutes from the airport. Must love doggies! 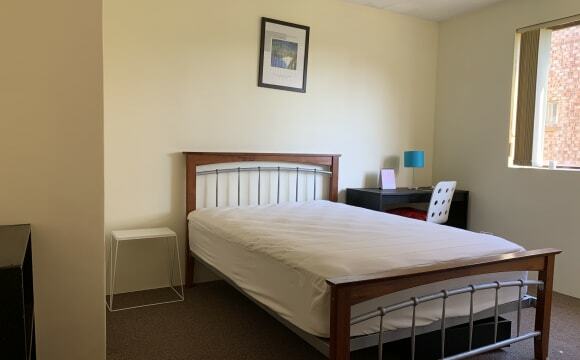 Students or part/full-time workers welcome, females preferred, Cantonese/Taiwanese/Mandarin tenants preferred but not required ***** The pictured room is now taken however I have 2 more rooms available: 1 larger room and 1 slightly smaller room depending on your preference. Inspections welcome! ***** 学生或部分/全职工人欢迎，女性首选，中国/混合租户首选但不要求 关于物业： 大房子有充足的空间 方便的位置 6分钟车程到Fortitude Valley 10分钟车程到市区 - 轻松进入内城通道 享有城市的阳台景致 距离公路和火车站有5分钟路程的多个巴士站 步行距离内的当地餐馆包括Brewbakers，Artie和Mai，My Mistress，Sushi Train等等（麦当劳上路！） 克罗斯比公园在路上！ 2间客房 125美元起 3.5 x 3.5房间大小 灵活的家具 共用浴室 -雅房出租 歡迎不抽煙，少煮，愛清潔人士入住。 有基本家具，包水電和無限上网。 交通方便，步行1分鐘到火車站和巴士站。 租金：$150/wk起 請 请不要吸烟者或宠物 期待与您见面！ About the property: Large house with plenty of space Great convenient location 6 minute drive to Fortitude Valley 10 minute drive to the City - easy access to the Inner City By Pass Balcony views to the City Multiple bus stops across the road and train station 5 minutes away Local restaurants within walking distance including Brewbakers, Artie and Mai, My Mistress, Sushi Train and more (up the road from McDonalds!) 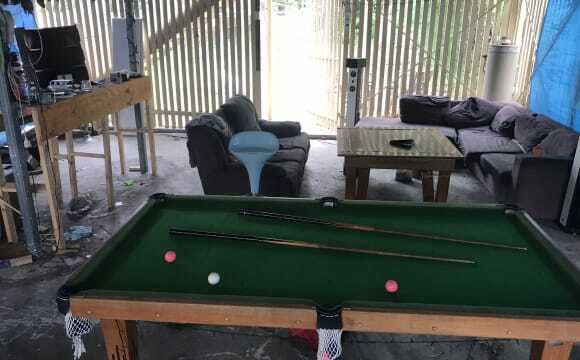 Crosby Park down the road and Albion Indoor Sports 3 rooms available Rooms from $150 3 x 3 room size Flexible with furnishings Shared Bathroom No smokers or pets please Looking forward to meeting you! 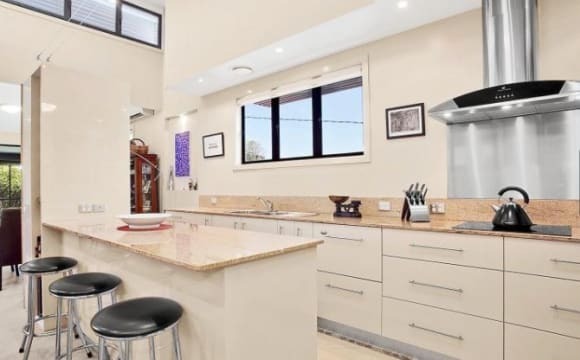 Our house is situated on Lutwyche road, and is super convenient with public transport, with trains and buses a short walk away. Driving is easy as, and a short ten minute drive to the city. You can use the carport to store your car as well :) The house is surprisingly large and has air conditioning in your room and the living room. Both bathrooms are really modern and have nice fittings and really hot water. The room can come either furnished or unfurnished depending on your preference. I will be moving out most of my personal effects, but can leave the bed if necessary. Let me know if you have any further questions! The large master bedroom with an ensuite bathroom, walk in robe, block out blinds and air conditioning is available to rent! The townhouse is close to the train and bus as well as shops and the airport. There is no garage parking available however there is always plenty of on street parking and it is a safe street, we have never had any issues. There is also a remote operated gate at the front of the property for extra security. The room and townhouse are furnished and there's air con in every room. The current bed frame is quite tricky to move so it would be great if you're happy to use the one that is already there. It is queen size so if you have your own queen mattress then that is fine. 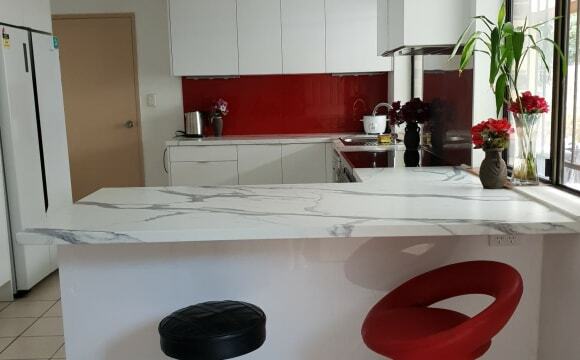 There is a large, modern kitchen so perfect if you like cooking! I have a very friendly tortoiseshell cat named Tess who mainly stays in my room but does sometimes roam around the house when I'm home. Unfortunately the owner has requested no other pets. All bills including 500gb of monthly wifi are included in the weekly rent. The room is ready to be moved into immediately! My housemate Tegan is moving out of her queens sized bedroom she is flexible on the move out date but ideally wants it to be filled by mid May The house is fully furnished (almost) and functional. It has everything you would need. 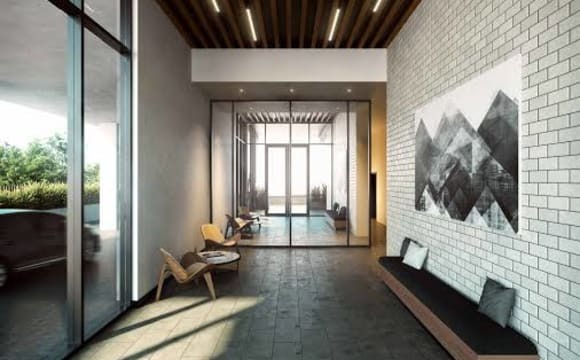 The pictures are from the real estate advertisement. 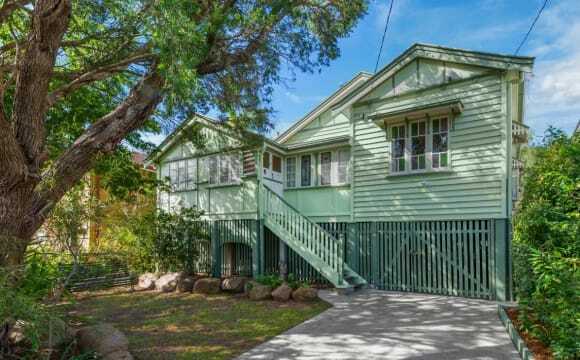 The Queenslander style house is located within a two minute walk of Windsor train station and just a short walk to local cafes and shops and less than 4 kms to the CBD. Built in robes and a ceiling fan. Heaps of storage and also plenty underneath the house. The rest of the house is furnished but your items are more than welcome to make a lovely addition to the house - there some areas that need some pretty furnishings. The kitchen has gas cooking and a dishwasher. There is a separate dining area, and air conditioning in the living area for those hot summer days. Polished wooden floors, traditional VJ walls and high ceilings. The house is private and secure, with key locks to all windows and a new alarm system. 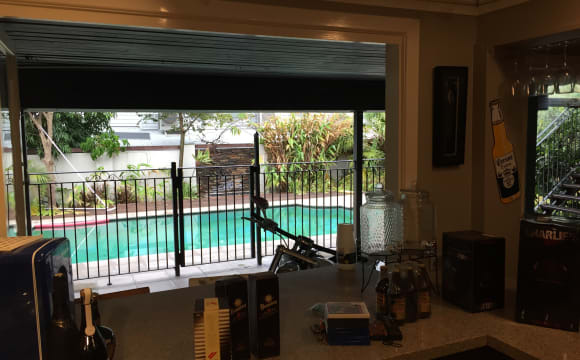 There is a covered back deck, which overlooks the fully fenced and secure yard. Parking is available underneath the house also. Bond is $800 (ignore what flatmates is telling you), and you will be required to sign the lease and go through the real estate agent process. Ideally wanting people to commit to until February 2020/long term or if you need to move out find a replacement. Need someone reliable and can pay rent weekly. 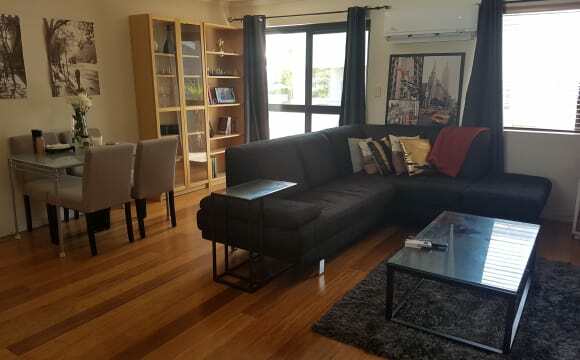 Pet friendly place would suit another small dog (not put on the lease, hush hush from the real estate due to council restrictions) or a cat (approved by the owners) I enjoy yoga and a calm home environment, particularly during the week. But don't get me wrong, I also love a chat and a fun little outing every now and then! Would love to meet you! Come and visit to have a chat. Close to ever thing and net oz star and net flicks and it’s got class..so there is not to good of pics I only moved in 1 week ago my self .. This place is is close to train station and bus stop. I am usually in the city within 10mins. The place is fully furnished. You can choose to furnish your own room, however, there is already a bed in there. Enough storage in the garage. All bills are not inclusive to the rent. The rent changes to $250/wk which includes bill.. I work full time and sometimes on weekends. I like the occasional glass of wine and beers. I am very bubbly and easy to talk to person. I also like camping and 4x4ing so happy for you to tag along if you like :) I look forward to hearing from you. Master room in 3 bed 3 bath top floor unit in Windsor available for medium-term rental for period from 9th June 2019 to 19th January 2020. Unfortunately there is no opportunity to stay past the 19th January. 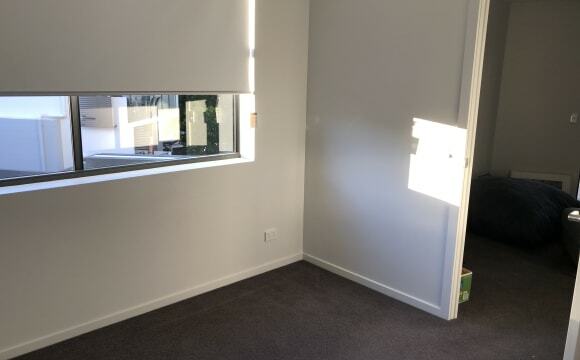 The unit is right next to the train station but is double glazed so you wont hear it. It has two balconies and your room backs on to one of them. The unit is modern, light and airy. Room with ensuite and walk in robe. Ducted air-con throughout. Off-street parking space included. Non-smokers greatly preferred. Excellent location for QUT students as there are several direct busses to Kelvin Grove a 3 minute walk away. It is a 15 minute train trip into the city and an $8 Uber to the valley. Room is furnished - negotiable. You would need to pay a bond of $660 and fill out an application form with the real estate in order to be listed on the lease. AVAILABLE JULY The place is $200 a week and is a short walk to the local bus stop and train station with free on street parking. Plenty of transport to the city and surrounding suburbs. No pets unfortunately at this premise are allowed. Smokers welcome.